Yachting is deeply rooted in Rolex’s history. Melissa Twigg looks into the relationship and how the brand’s sailing watches remain relevant in the sport. When Hans Wilsdorf launched his watchmaking venture in 1905, he wanted to make robust, precise, reliable timepieces that would stand out from the other more delicate creations of the era. Rolex watches were not destined to spend their days languishing in drawing rooms and expensive restaurants; instead, they would be adapted to the active lifestyles of his 20th-century customers—men and women who wanted to charter yachts, race sports cars, go deep-sea diving and hike across deserts. Which meant that from day one, Rolex was associated with the adventurous, with people who were passionate about excellence, precision and performance, and required a timepiece that could keep up with their needs. And one of the worlds Rolex naturally gravitated towards was that of yachting. In 1926, Rolex made timekeeping infinitely easier for all sea lovers when it invented the Rolex Oyster. The first waterproof wristwatch in the world, it had a case equipped with an ingenious patented system consisting of a screw-down bezel, case back and winding crown. And to prove just how waterproof it was, Wilsdorf gave British athlete Mercedes Gleitze an Oyster when she swam across the English Channel a year later. That watch emerged after more than 10 hours in the water in perfect working condition and, along with its new owner, made headlines around the world. However, the link between Rolex and the oceans was only fully cemented in 1967 with the launch of the Rolex Sea Dweller, which soon became the watch of choice for anyone with a passion for sailing. Twenty-five years later, in 1992, we witnessed the arrival of the Rolex Oyster Perpetual Yacht-Master, fashioned out of solid 18-karat gold and bought by the next generation of yachting masters. Then last year marked the arrival of the Rolex Yacht-Master 40 and its 37mm stablemate, which, true to the era we live in, came with some exciting innovations. As anyone who has raced on the sea knows, getting drenched is part of the job, which is why the new Rolex Yacht-Masters come with the option of a black rubber strap. This being Rolex, though, it’s not the cheap rubber you’re used to on your other waterproof accessories. The watchmaker has invested in developing a patented all-new type of strap, the Oysterflex bracelet—a super-thin metal blade over-moulded with high performance, supple black elastomer. It is far more robust than its traditional rubber counterparts and more resistant to adverse environmental effects, but with a longitudinal cushion system on the inside of the strap, so it will snugly stay put on your wrist. Waterproof, precise and reliable, the Rolex Yacht-Master 40 makes life on the high seas a lot safer than it once was. 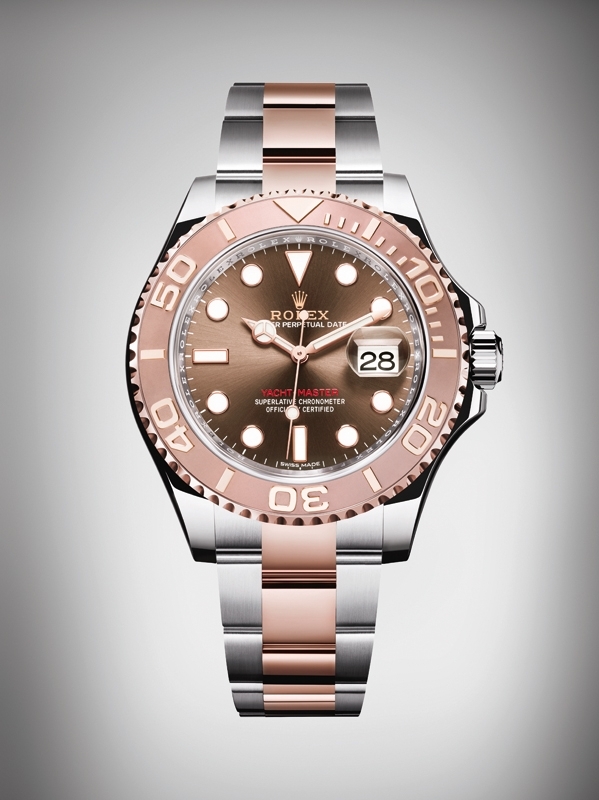 Famous for its bidirectional rotatable 60-minute graduated bezel in 18K Everose gold, it also has polished raised numerals and graduations that stand out clearly against a matte, sand-blasted background, allowing sailors to read the time at dusk or dawn. Its ingenious bezel does nifty things like enable the wearer to calculate the sailing time between two buoys. Oh, and it is guaranteed to be waterproof to a depth of 100 metres, just in case you decide to explore what is under the surface instead of what’s on top. To underline its commitment to the sport, Rolex is now also the title sponsor of 15 major international yachting events. The annual Rolex Sydney Hobart and the biennial Rolex Fastnet Race are fiercely challenging regattas that all sailors dream of conquering in the same way that all mountaineers fantasise about reaching the peak of Everest. 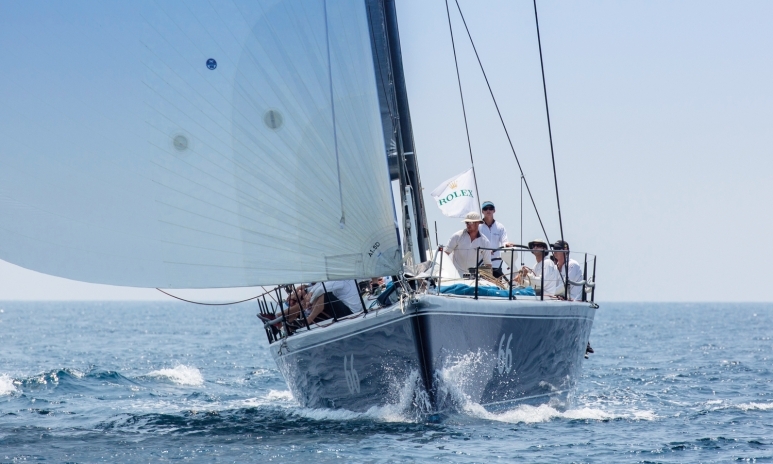 In a similar vein, the Rolex Farr 40 World Championship attracts the best sailors from around the word in the highest-level one-design competition on offer for boat owners and their teams. 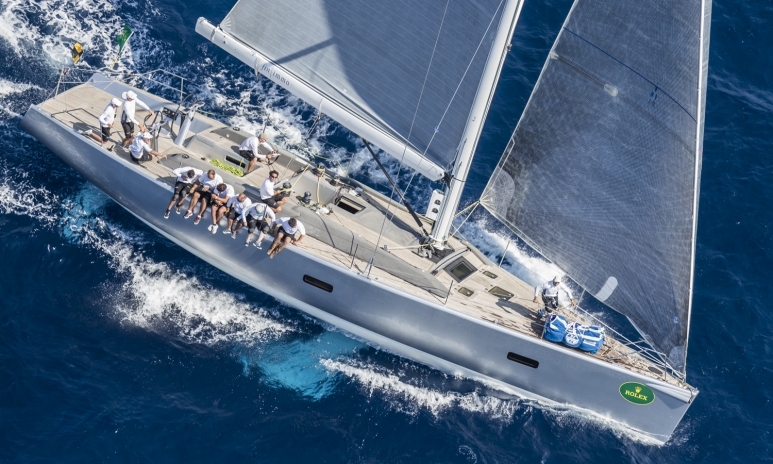 The Maxi Yacht Rolex Cup, meanwhile, is one of the highlights of the glorious Mediterranean yachting season. Against the backdrop of the oh-so-pretty Costa Smeralda, a sizeable fleet of top-quality, technologically advanced yachts gathers each September in Porto Cervo for an intense competition each day and delicious pasta each night. Porto Cervo is also the home of the prestigious Rolex Swan Cup, which brings together some of the most beautiful Swan yachts and the top sailors in the world. And then there is the famous biennial Rolex China Sea Race, which starts in Hong Kong in late March. A 565-nautical-mile race from Victoria Harbour to Subic Bay in the Philippines, it has been a highlight for the yachting community since its launch in 1962 and is considered by many to be the ultimate Asian blue-water offshore event and one of sailing’s great challenges. The combination of these illustrious events and the launch of the Rolex Yacht-Master 40 in 2015 illustrate just how powerful the alliance between the Swiss brand and the world of yachting actually is. And with their mutual emphasis on high-quality design, exclusivity and genuine passion, we suspect it is a relationship that will sail into the sunset for a happily ever after. This article was originally published in the January 2017 issue of Hong Kong Tatler.